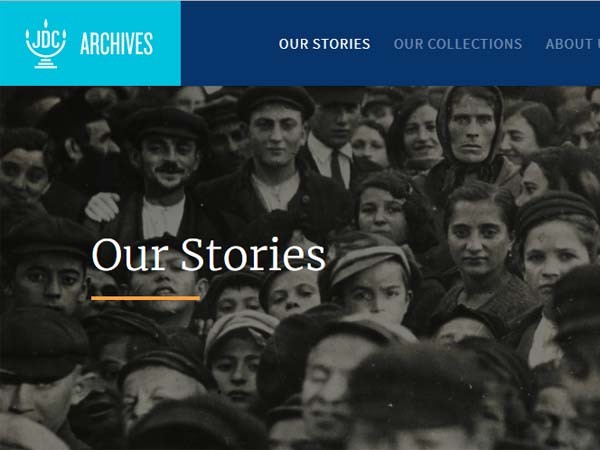 An exciting new feature of the updated Archives Website is the section called “Our Stories,” which blends newly created content with existing exhibits, galleries, topic guides and news and blog posts to present JDC’s history through our digitized archival holdings. 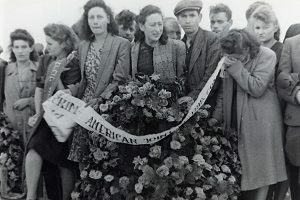 The page, found at https://archives.jdc.org/our-stories, is organized into three main categories: Topics, Locations, and Decades. Within each of these categories are stories about JDC’s work. 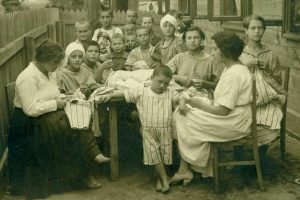 “Explore by Topic” features stories about Rescue, Relief and Social Welfare, Jewish Renewal, World War II-Era Refugees and Displaced Persons, Holidays and Celebrations, and Genealogy and Family History. 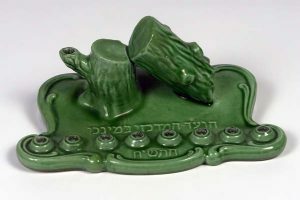 “Explore by Location” is arranged by geographic region: The Yishuv/Israel, Central and Eastern Europe, Russia and the Former Soviet Union, Western Europe, Latin America, and Africa and Asia. “Explore by Decade” has been adapted from the previously existing “History of JDC” section of the site with enhancements. Here you can also find the “Our Story” Interactive Timeline. 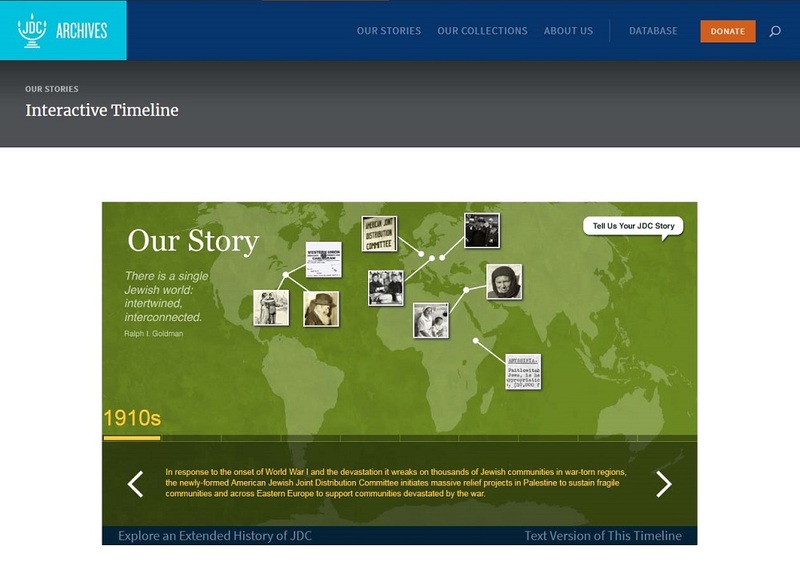 The Interactive Timeline of the history of JDC remains available on the updated JDC Archives website. Taking the Jewish Renewal story from the Topics section as an example, the page begins with a brief introduction summarizing JDC’s work related to Jewish renewal, below which is a slideshow of images drawn from the Archives’ photograph, artifact, and document collections. 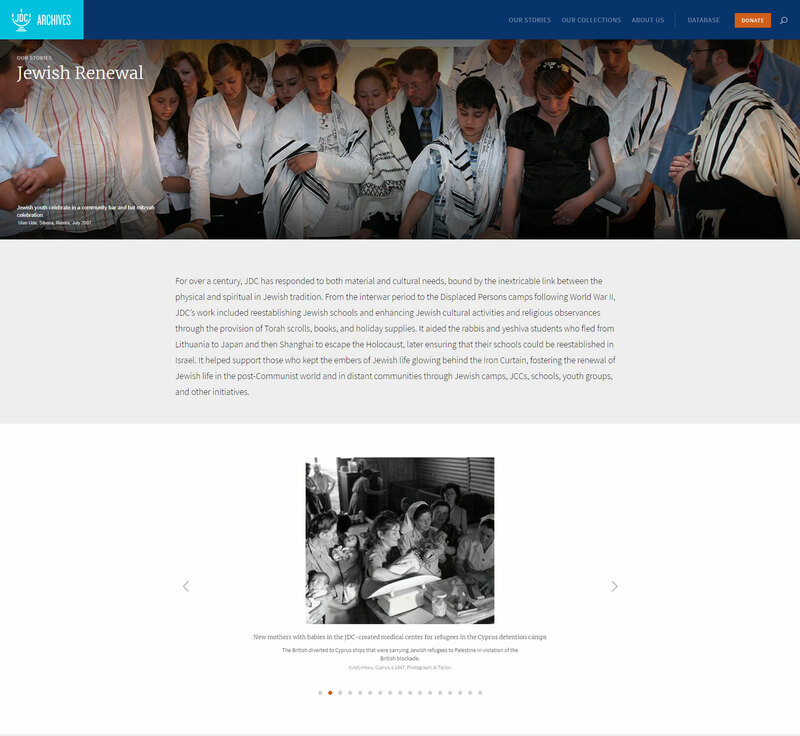 Upper portion of the Jewish Renewal story page, showing introductory text and slideshow. 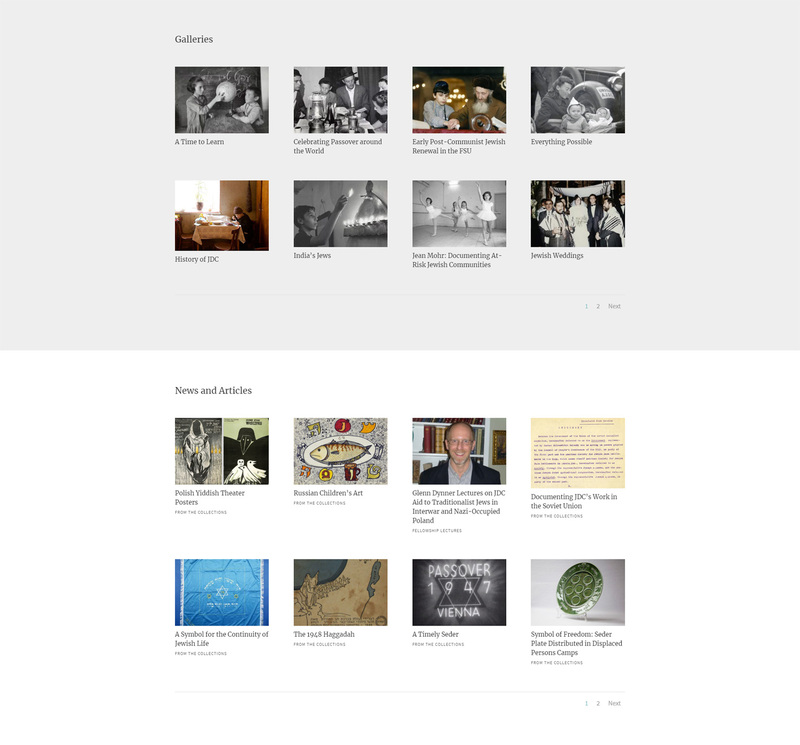 Lower portion of the Jewish renewal story page, showing related photo galleries and news and blog posts. Below the slideshow are relevant photo galleries and news and articles drawn from other content on the website. Exhibits and topic guides would be featured here as well. These items have been included by means of key words assigned to each gallery and news and blog post, which allows the links to be generated automatically. The “Our Stories” section thus makes existing Archives website content useful and accessible in a new and engaging way. Explore Our Stories today!